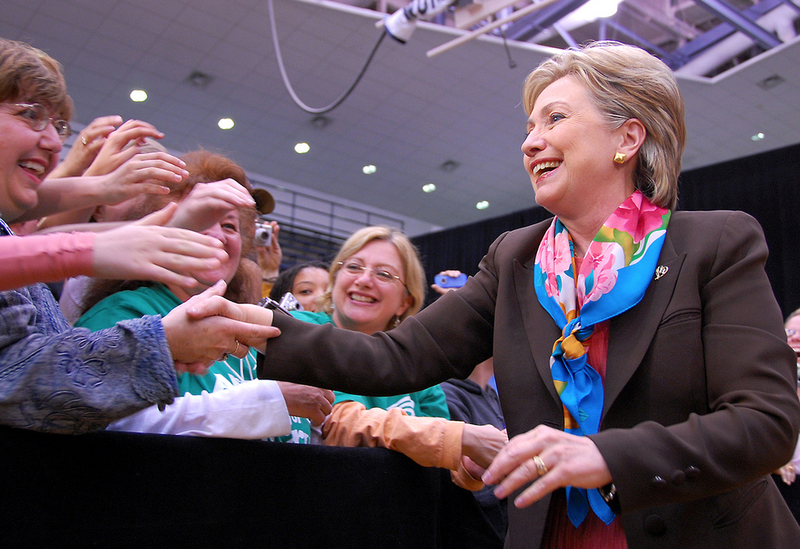 Hillary Clinton recently reached out to a gay youth through social media. | Image: Penn State via Flickr CC. Hilary Rodham Clinton offered moral support to a distraught gay youth who shared his anxiety about his future in a viral photograph that was posted on the Humans of New York Facebook page. The boy who is not named in the photo is shown frowning and holding his head in his hands while sitting on a stoop. “I’m homosexual, and I’m afraid about what my future will be and that people won’t like me,” he said, according to the caption. Brandon Stanton for Humans of New York took the photo, which is his widely known photo series known to illustrate microcosms of emotion in America’s most populous city. This photo gained a particular amount of press because Facebook administrators initially deleted it. “Seems that Facebook removed the young man’s brave statement and is now preventing me from uploading any further photos. I’m hoping it was a mistake. It is currently still on Instagram and I’m trying to figure out how to get it back up,” Stanton wrote on Facebook. The shot remained on Instagram, which is owned by Facebook, and returned to the social media site shortly.